Jakarta. Indonesia's antimonopoly agency is investigating allegations of unfair business practices against Tirta Investama – the local unit of French consumer giant Danone – and distributor Balina Agung Perkasa. In a statement issued on Friday (11/08), the Business Competition Supervisory Commission (KPPU) said the two companies are accused of having engaged in monopolistic practices in the sale and distribution of bottled water. Tirta Investama produces Aqua, Indonesia's original and most popular brand of bottled water, and isotonic beverages under the Mizone brand. Balina Agung handles product distribution in the greater Jakarta area. 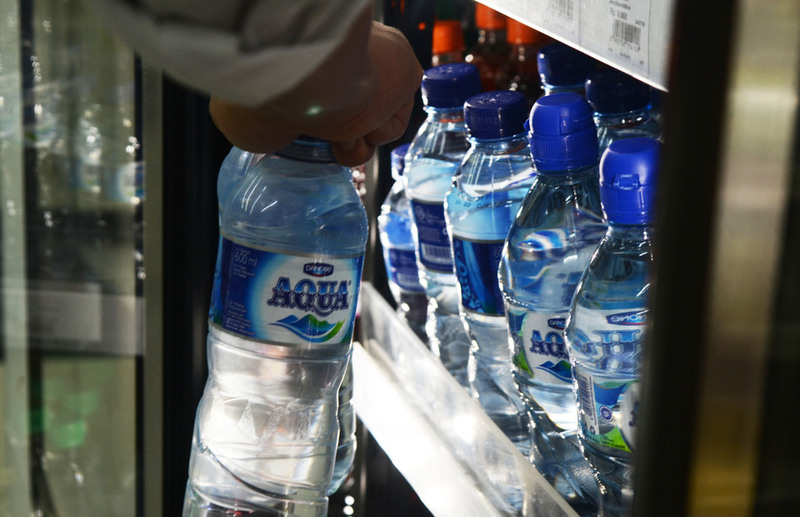 It started as a small operation in Jakarta in 1997 and has since become one of the largest distributors of Aqua, at nearly 23 million liters per month, the company says on its website. However, Balina Agung's achievement has come under scrutiny after claims by several shop owners that company representatives threatened them to refrain from selling other brands of bottled water. "In January 2016, I was asked by Haris, a Balina Agung Perkasa salesman, not to put Le Minerale [a brand of mineral water produced by Mayora Indah] on display," Handi, a shop owner from Cileungsi in Bogor, West Java, said during a hearing at the KPPU offices in Jakarta on Thursday. Handi further alleged that the salesman threatened to downgrade his dealership status if he failed to comply. Irwan, another shop owner from Cibinong in Bogor, corroborated Handi's story, claiming that he received a similar threat for selling Le Minerale in his shop. KPPU investigator Arnold Sihombing said based on the witness statements, the agency is confident of proving that the companies in question engaged in unfair competition. The KPPU has been aggressive over the past few years by cracking down on cartels and monopolies in Southeast Asia's largest economy, where large business groups often control huge chunks of goods distribution, ranging from motorcycles to poultry products and salt. Companies proven guilty of monopolistic or cartel practices may be liable for fines of up to Rp 25 billion ($1.87 million).